Hello everyone! Back to the ol’ blog, Happy St. Patty’s day and happy birthday to my beautiful niece, can’t believe she’s already 2! 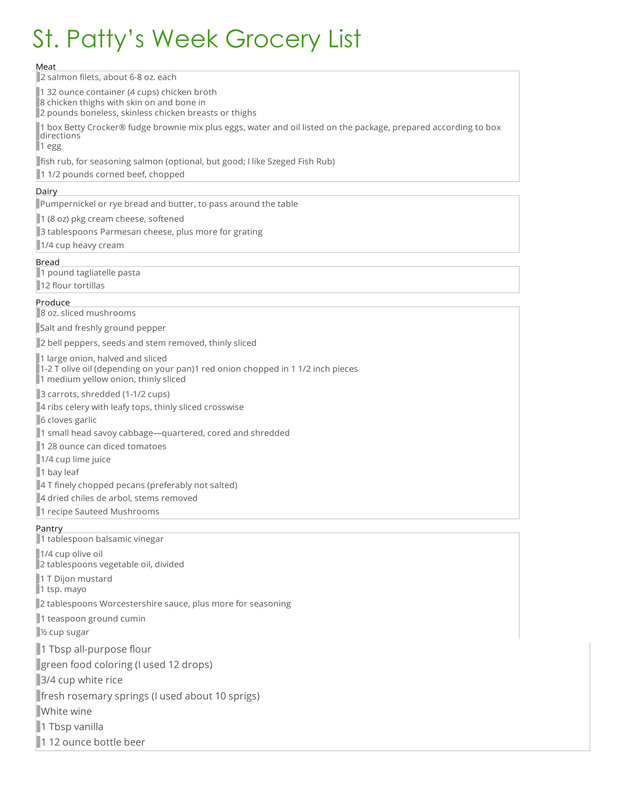 I thought I’d start off the week with a meal plan and printable grocery list for you all! 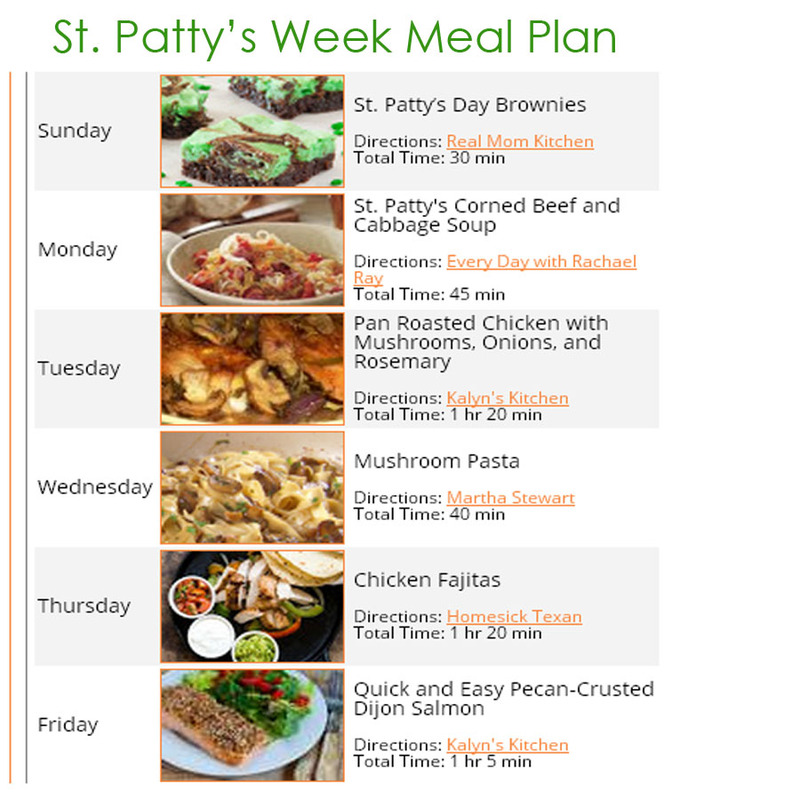 Here’s what I’m cooking this week starting out with St. Patty’s Day corned beef and cabbage soup and some St. Patty’s Day brownies! Yumm! Enjoy your St. Patty’s Week! !